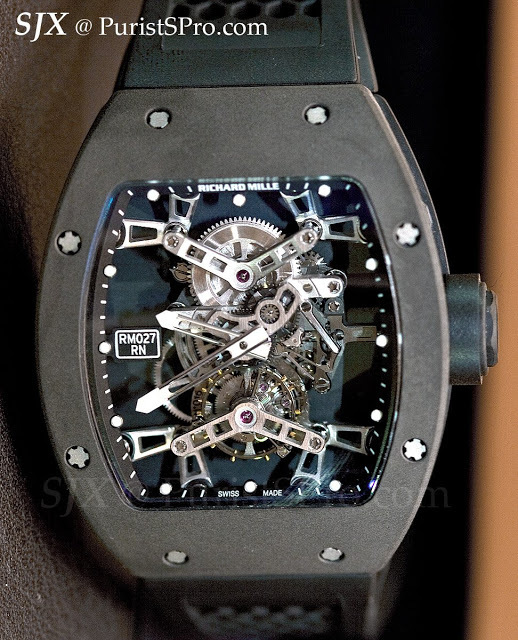 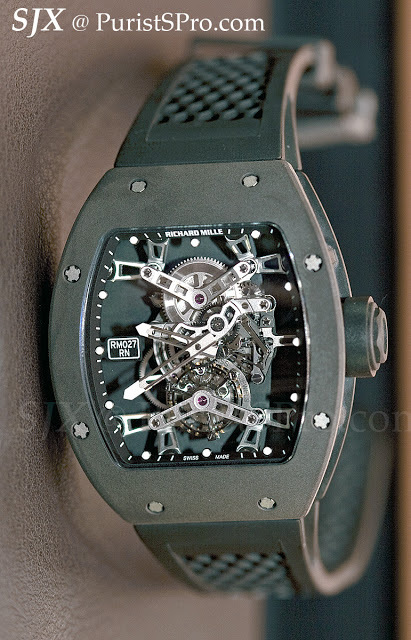 Richard Mille has donated the actual ultra-light RM027 tourbillon worn by Rafael Nadal when he won the 2011 Monte Carlo Championships to Only Watch 2011. 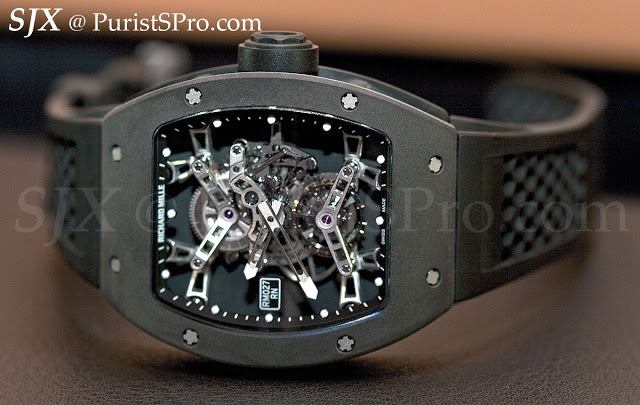 This RM 027 is also the pre-production prototype of the RM027 edition which will total 50 watches. 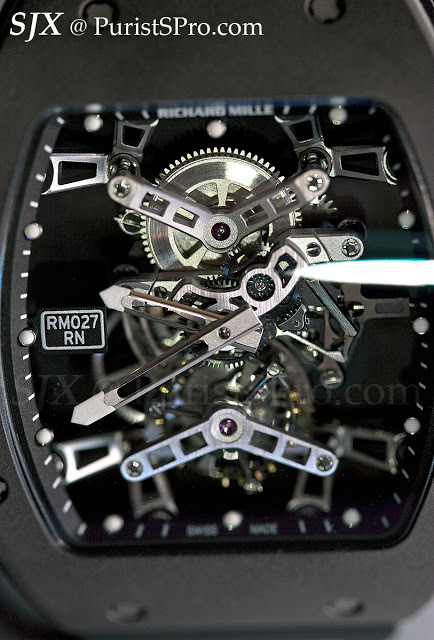 The RM027 is the second ultra-light Richard Mille, with the first being the AluSic RM009. 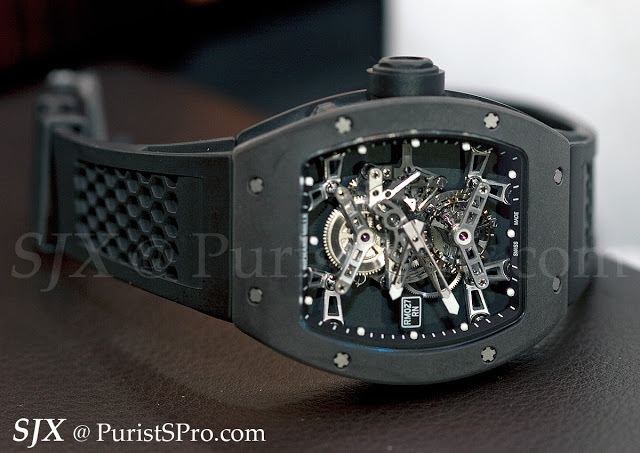 At an incredible 13 g the RM027 is less than half the weight of the RM009. 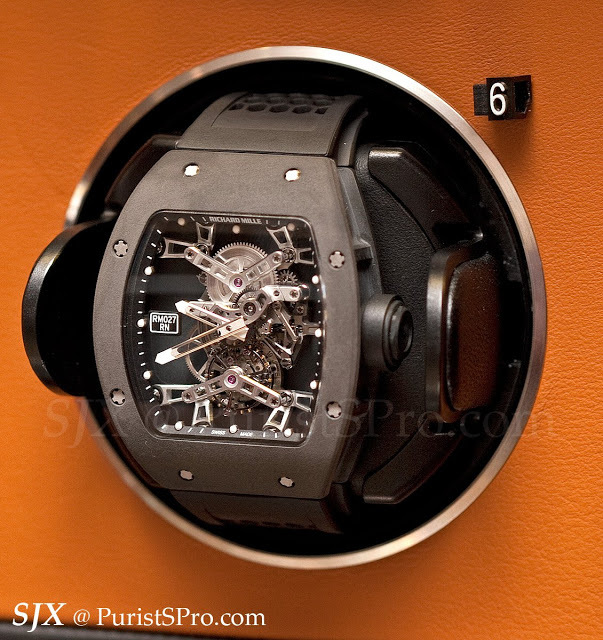 More recently the entry level RM035 completed the trilogy of ultra-light watches.